Prime Minister Narendra Modi on Tuesday insisted that his government has taken measures to weed out middlemen from the system to ensure that the "entire funds flowing from the Centre percolates to the poor". 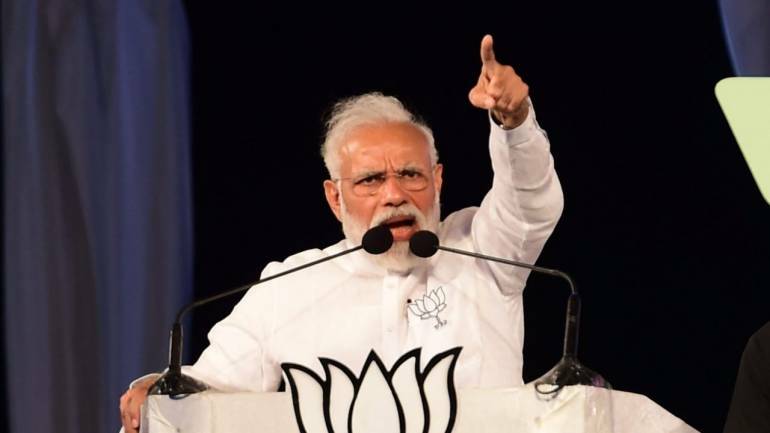 Hitting out at the Congress, Modi said the grand old party, during its rule, was embroiled in multiple controversies and scams. "People have seen a helpless and corrupt government in the past amid rampant corruption charges in the form of sugar scams, ration scams and urea scandal. "This chowkidar (watchman) has taken concrete steps to ensure that the entire fund flowing from the Centre percolates to the people," he said. Slamming the BJD government over mining and chitfund scams, the prime minister said the Naveen Patnaik-led party is only worried about personal gains. "How can they (BJD) think of common people when all they do is protect those involved in chitfund and mining scams. It is the Modi government that amended decades-old mining law and ensured that a part of the fund from the resources extracted is utilized for the development of local infrastructure," he claimed. The Congress and its 'malamilawati' friends desperately want to oust this 'chowkidar because of the BJP's onslaught on corruption, he stated. "The country was hit by corruption for years since Independence. It is the BJP government that put a brake on these corrupt practices," the PM asserted. Sharing his plans for the country, Modi said the BJP government, if re-elected to power at the Centre, will set up separate fisheries and 'jal shakti' ministries. "The jal shakti ministry will end the water crisis in the country by ensuring that water from the rivers and the seas reach the poor and the needy. We will also launch schemes for the welfare of fishermen folk," he added.